Yep, folks, that’s a genuine Harley-Davidson. 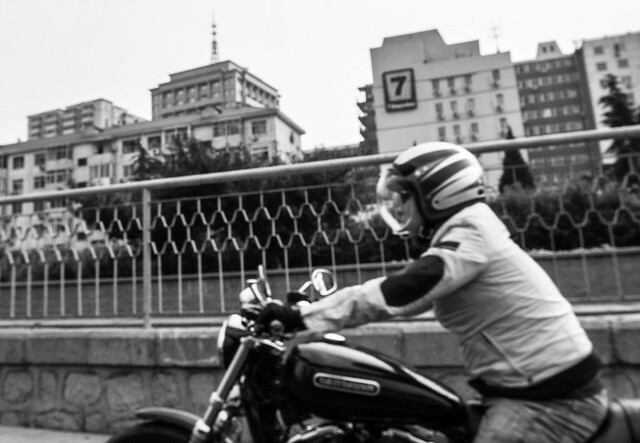 Good, old fashioned American muscle unleashed on the wild streets of Beijing. Kinda cool that the motorcyclist was wearing a helmet, which is almost as uncommon as seeing a Harley-Davidson here. Then again, he was passing us in the breakdown lane at a speed just a wee bit too fast, so I guess it makes up for it.